One of the greatest things about living in Australia is the affordability of travelling around the region. It seems as though at least once a month one of the major airlines runs fantastic flight specials. It really amazes me how I can fly to another country/continent for MUCH cheaper than a round trip from SF to Detroit. Hell, I've even seen overseas flights less expensive than a roundtrip flight from SF to LA. So naturally how could anyone pass up on such an opportunity? Also, Australia is much better than the US with annual leave and allowing their employees to take their earned vacation time without feeling like the company will collapse in their absence. Seriously America, stop working people to death! Take a page from Australia's book and fix it! There's a difference between hard work & determination and burnout & exhaustion. 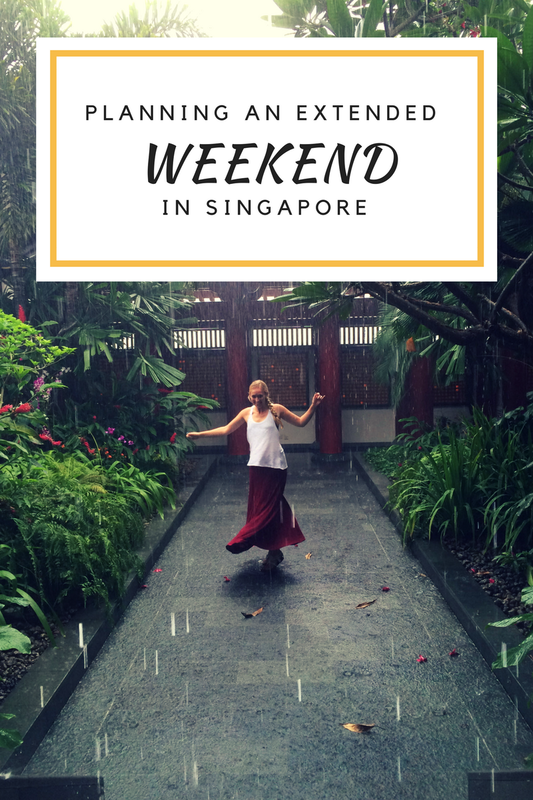 Getting back on track....a Singapore getaway manifested. Singapore was just as I pictured. It was also incredibly humid. I wrongly assumed it would be similar to the humidity in Bali but not even close. Singapore humidity puts Florida humidity to shame! I was pretty surprised how similar Singapore was to America. I was able to find a lot of American foods that I haven't been able to see in Australia. Plus the shopping! Holy freaking cow! Although the prices were not as fantastic as the deals you can find in America, there were so many familiar brands. Singapore also likes to be fancy with its Prada, Louis Vuitton, Burberry, etc. There were quite a few excellent shopping strips suitable for any shopaholic. Naturally, the holiday wasn't spent shopping. I did, however, have a massive haul at Forever 21. There isn't one in AUS, and I'm not entirely sure why. It was my go-to store for basics. One of our Singapore destinations was Sentosa Island. The island has some fantastic beaches, Universal Studios Singapore, Dolphin Island, heaps of other attractions, golfing, spas, and resorts. We wanted a beach day so strictly stuck to the beach whilst on the island. 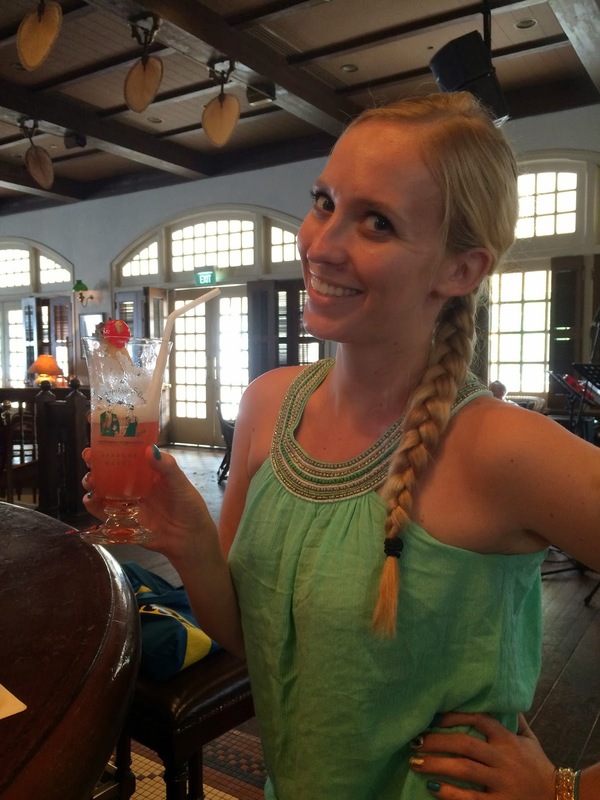 No trip to Singapore would be complete without a trip to the Raffles Hotel's famous Long Bar for a Singapore Sling. The Hotel: amazingly beautiful; The Bar: felt like somewhere Indian Jones would randomly show up; The Drink: Insanely refreshing in the hot, humid weather and not as fruity as I imagined. I'm not a fan of fruity drinks but could easily throw back a couple Singapore Slings on a hot day. That night we made our way over to the Night Zoo. The idea behind the night zoo is that the animals would be more active because the weather is colder. Yea...not so much. Still just as hot, still lazy animals. Our last day was spent avoiding the rain and grabbing a drink on a boat. And by on a boat I mean, a boat that's built on the top of three massive buildings. 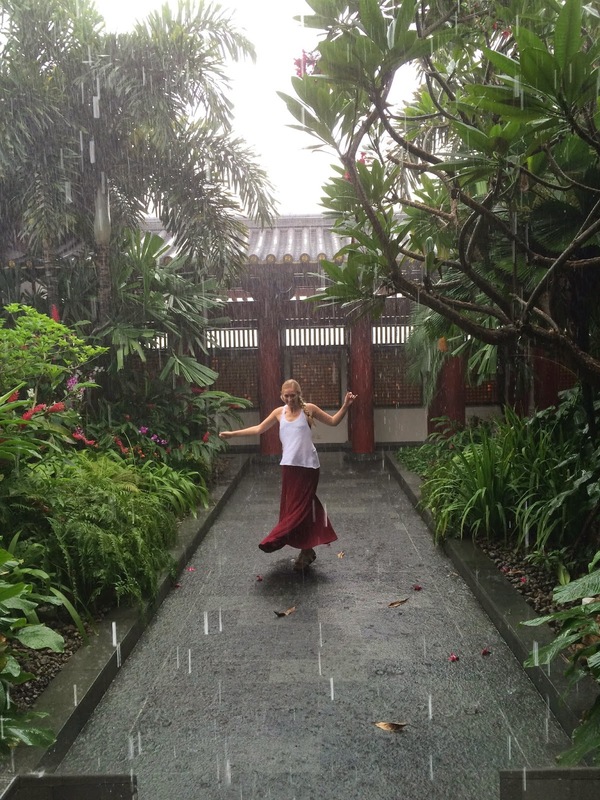 I must admit, I had the most magnificent time dancing in the rain on a rooftop garden at one of the temples. I'm really hoping that what I was doing wasn't offensive. The guards up there didn't seem to be too fussed. 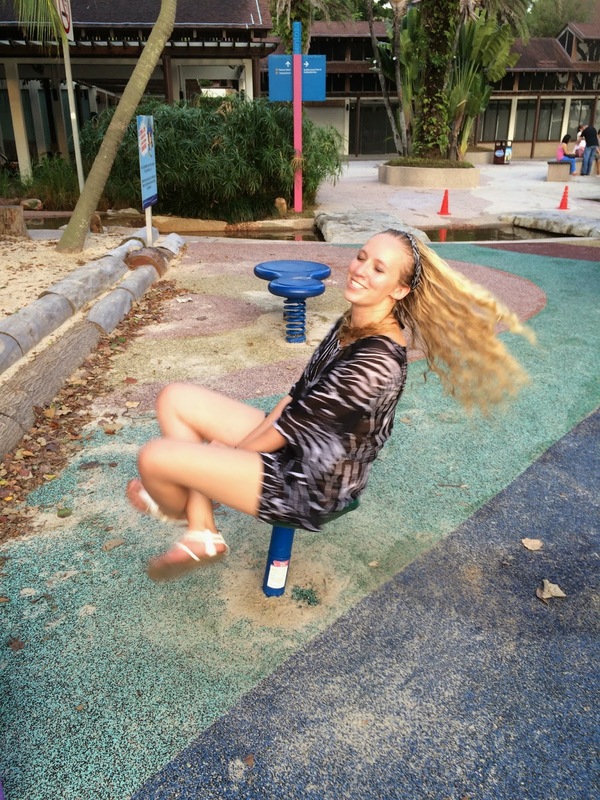 I really enjoyed my time in Singapore! Not only was the country amazingly clean (seriously it's like the Disneyland of countries) but the culture was amazing. If I wasn't living in Australia, I feel it would have taken me much longer to visit Singapore. I cannot wait to visit Singapore in the future!